Where do your kids play? If they are young and still engage in imaginary play, play with toys, arts and crafts, mess and chaos then I an curious – where do they play? Inside? Outside? 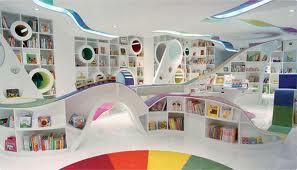 Some people have dedicated playrooms, spaces and areas. Other people have back rooms and sheds and for some all the play things are kept in the bedroom. Even with our own tribe of five the question of play is a work in progress. As the older ones have specific needs to hang out and “play” the younger ones still want to take out several games and activities and move from one to another. The result…..controlled chaos. Crazy. We have always tried to limit the play in the bedrooms. Feeling that supervision and interaction with the kids is important. But as they get older this changes. There are special toys that need ‘care, like massive lego constructions. Or there are music devices, book collections or instruments that take the kids away from the main living area. Kid’s stuff, whether it be games, toys, technology, musical instruments and the like need to be organised and kept properly. But there are times when our living area looks like the home corner of the local kinder, the kitchen bench is an art studio and the dining table is a homework area. When friend’s come to play we do set boundaries. We need to be able to see them, talk to them and engage with them whether it is inside or out. Where do your kids play?